A lovely collection of remixed tracks from Warmth's last album. Includes versions by Purl, The Green Kingdom, and others. The latest on ARCHIVES. I wasn't a big fan of this, although it has some nice tracks. Too musical? I miss Pete Namlook releasing things. New release via one of Matt's alter-egos. Very analog and very syrupy, with some fascinating aural spaces. Light and Space was also released along with https://i7xi7x.bandcamp.com/album/in-memoriam, which is a compilation of sound sketches that are fun to explore, but it hasn't really pulled me in for repeated listens yet. 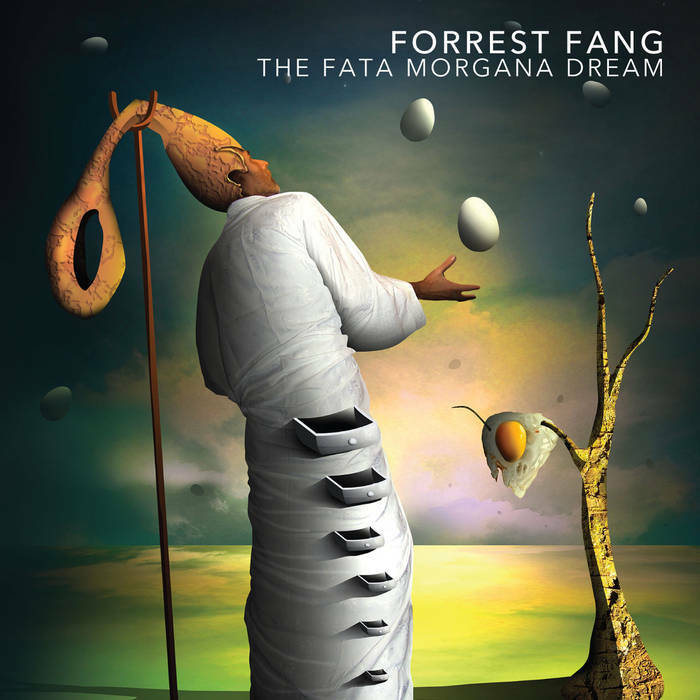 Forrest’s new album - The Fata Morgana Dream. Hypnotic, drifting, atmospheric, beautiful ...... all the usual adjectives for this excellent album. And yet another stunning album cover. Always a precious gift to listen to. Been listening to various David Helpling & Jon Jenkins tracks. Some really gorgeous music. Diving through Forrest's new album while thinking I really miss his voice here in the forum. Yeah, Forrest's newest "The Fata Morgana Dream" CD is on heavy spin since yesterday, when my order arrived from Projekt's European webstore. Another big one from the Master, bravo, Forrest!!! Great stuff from APK. As usual, APK has a deft hand when it comes to layering interesting textures and unique and seemingly incidental melodies. I love this best with headphones. New release on Silent Season. Deep-space ambience. Outstanding. Not ambient. 1980's style goth synthpop from Iceland. I love this, and my daughter likes to listen to this loud in the car! Speaking of the 1980s: If you enjoy classic experimental music of the Nurse with Wound variety, Kevan is doing some amazing work in that genre. This is what modern experimental sounds like when it is grounded in a deep respect for the history of the genre. Thanks for the comments on Primacy of Perception, Chris. And nice to see Nunc Stans: Timeless getting a spin. Thanks. I'm with you on this one, for sure. Winter Restlessness was a favourite release from 2018. On ARCHIVES. This is bit more in the "modern composition" genre than what I'm used to hearing on this label. But the work is quite good, and I like the subtleties a lot. Amazing shimmering sound cascades. Reminds me a bit of Hillier's Ishvara project. Long-form ambient work. Good use of pauses/spaces, and very hypnotic.